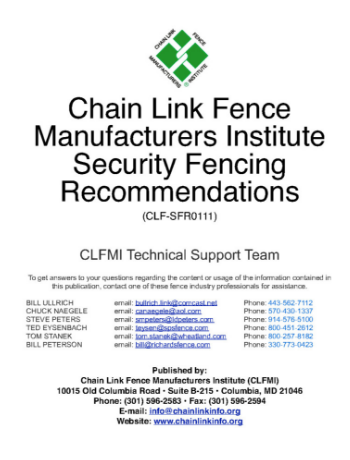 (CLF- TP0211) With this newly released 12-page report, security and fence professionals have the information and test data needed to specify and select security grade chain link fence systems based on the time required for forced entry penetration or its ability to protect people and property from vehicular impact. These testing results provide the data to make a well informed, logical decision. 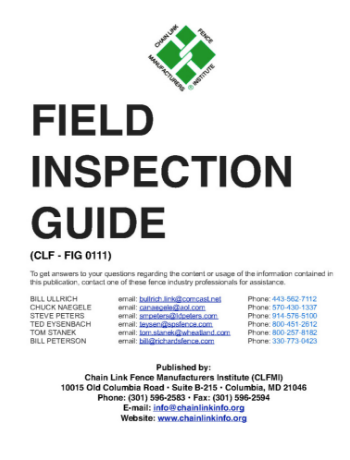 The guide that gives installers and inspectors a handy list of inspection procedures, guidelines and standards. Includes a “tear off” report form. 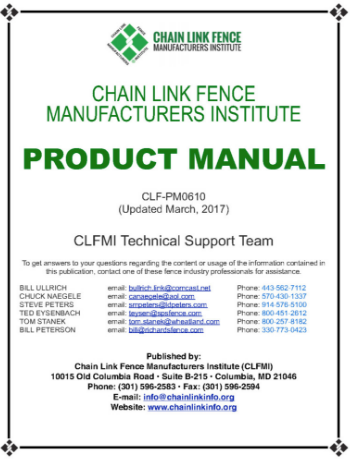 (CLF-PM0610) This 32-page guidebook provides the user with the nationally-recognized standards of quality for chain link fence fabric and framework. References all applicable ASTM and federal standards. The 32-page guide for architects, specifiers, and engineers with information on the factors that influence the size and spacing of line posts. 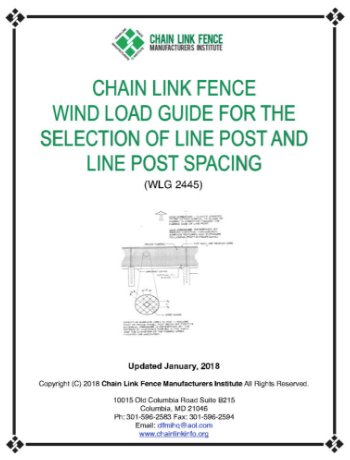 Includes 12 tables to help determine appropriate line post spacings in various wind load conditions. 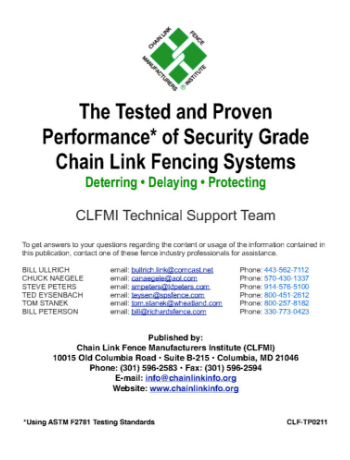 This guide provides the answers to questions about which chain link fencing systems to use for various levels of perimeter security. Includes references to applicable ASTM & Federal specifications and sample installation drawings. 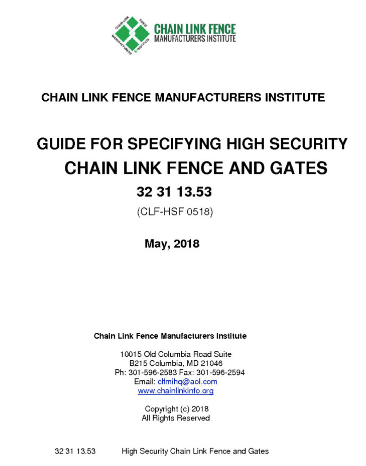 Guide for Specifying High-Security Chain Link Fence and Gates (CLF HSF 0518) This document is the newest tool available to help decision-makers and their security team be certain that they will get the most out of their perimeter security investment.